Thank you for downloading SEOPressor. 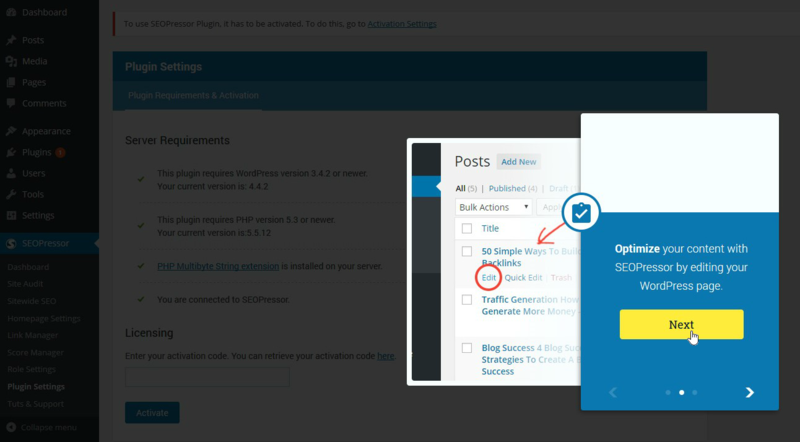 In this tutorial, we will show you how to start your on-page optimization with SEOPressor. Once you logged in, you will be directed to Posts. 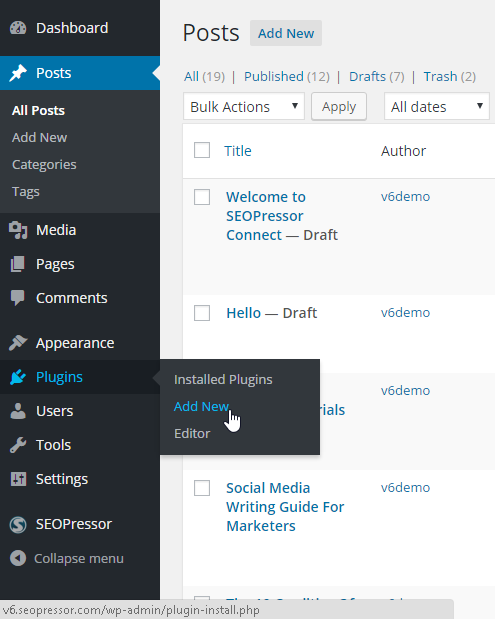 Step 2: Go to the WordPress menu on your left, click ‘Plugins > Add New’. 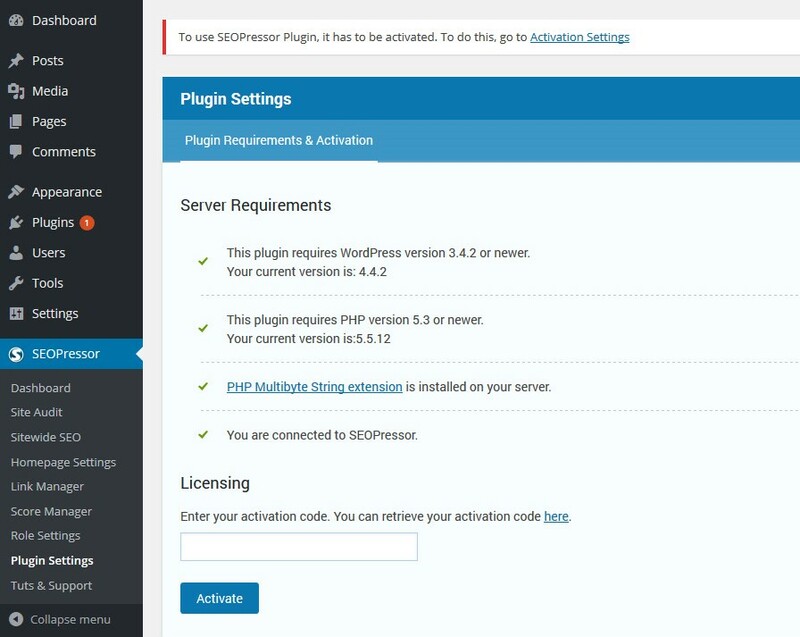 Step 3: You will be directed to Add Plugins. Click ‘Upload Plugin’. 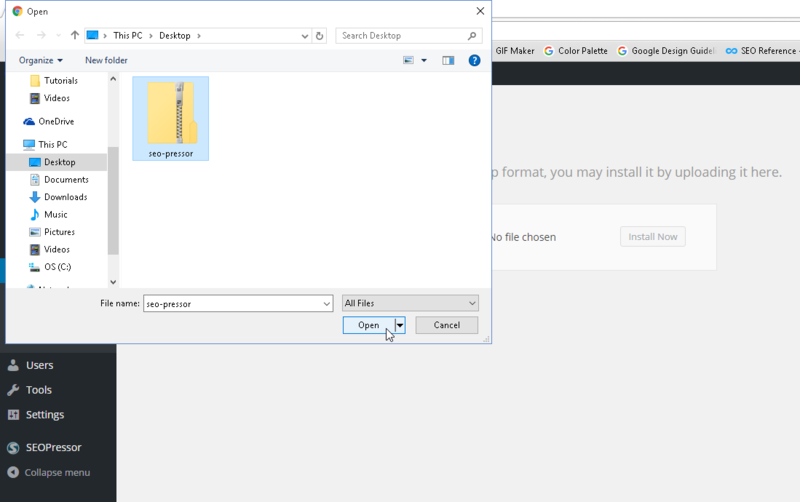 Step 5: Browse to the location where you have downloaded SEOPressor. Select the ZIP file. Note: SEOPressor comes in a ZIP file. When you download it, you don’t have to unzip the file. Just upload the whole zip file with the above instructions. If you are using a Mac, depending on the Mac settings, Mac can unzip the files automatically for you. You will only need to archive the unzipped folder and upload. 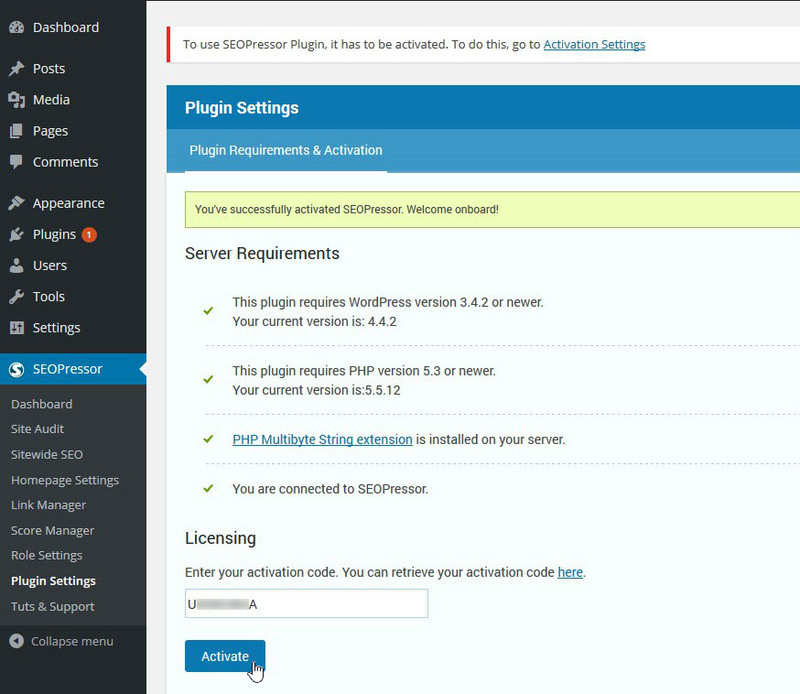 Step 6: Click ‘Install Now’ to upload SEOPressor plugin to your WordPress. 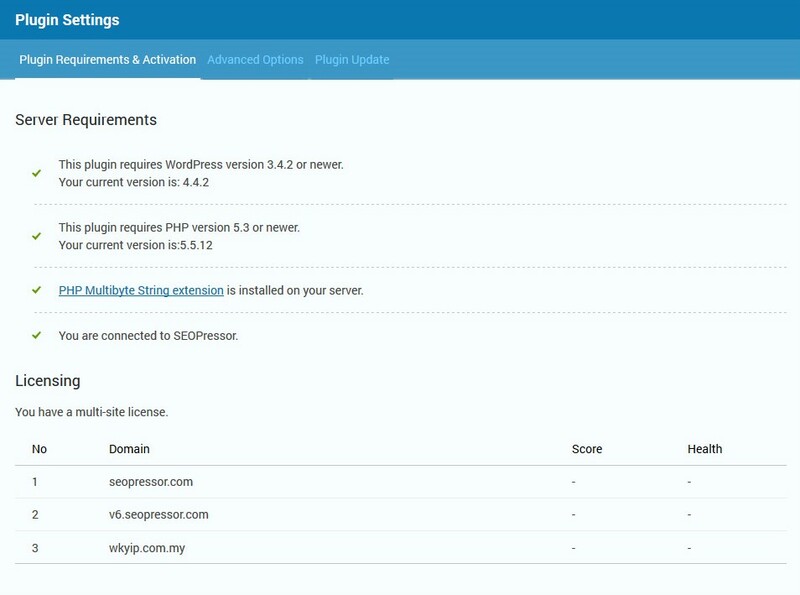 Once you’re done, you will see SEOPressor under your ‘Plugins‘. Step 7: Click ‘Activate’ to activate SEOPressor plugin. After you’ve activated SEOPressor, you will see this Welcome message on the left. Step 8: Click ‘Start Tour’. 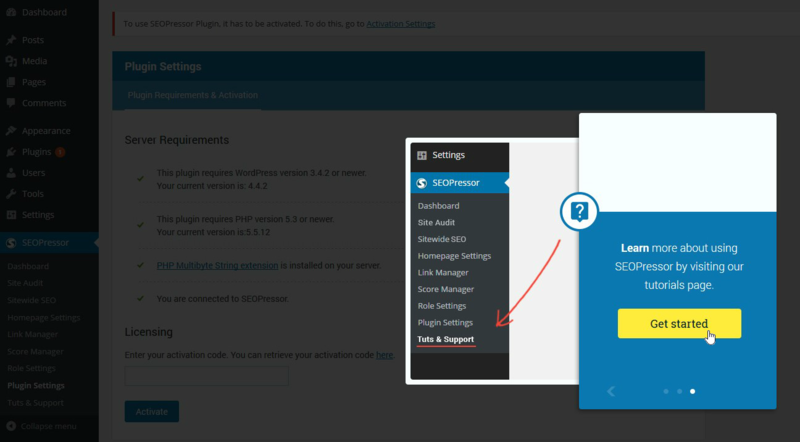 Step 9: Click ‘Get Started’ to start exploring more SEOPressor settings. After clicking ‘Get Started’, you will automatically be brought to the Plugin Settings page where you can check if you have all the server requirements. 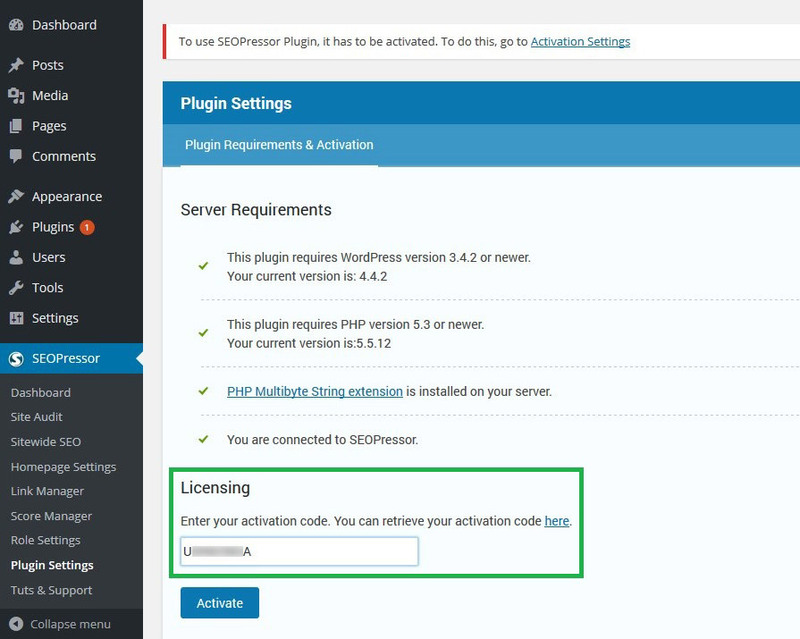 Step 10: Key in your activation code under Licensing. 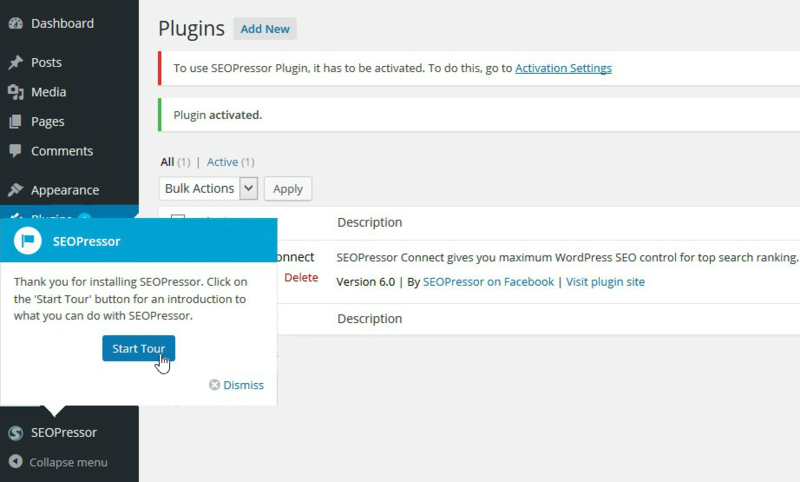 That’s all you need to install and activate SEOPressor Connect!